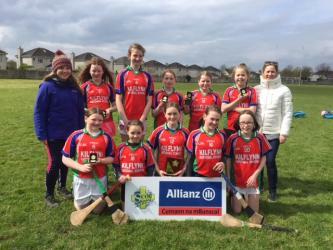 Nine teams were entered for the GAA/INTO Allianz Cumann na mBunscol Mini Sevens camogie finals in Kerry and following the draw the three groups were as follows. In group 1 a young Ardfert NS lost their two games to Kilmoyley NS and Kilflynn NS. 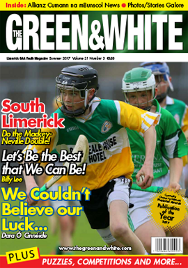 The final group game between Kilflynn and Kilmoyley was a ding dong affair and the sides were deadlocked at the end of an observing encounter. In group 2 Glenderry were the more balanced outfit and won their two games against Killury and Lixnaw to top the group. In group 3 Buailín Siar/ Killahan, Baile an Crosaigh/ Drumnacurra and Sliabh A’ Mhadra battled for top spot which was claimed by the Baile an Crosaigh/ Drumnacurra combination. Kilflynn accounted for Glenderry in their semi final while Kilmoyley proved too strong for Baile an Crosaigh/ Drumnacurra girls.